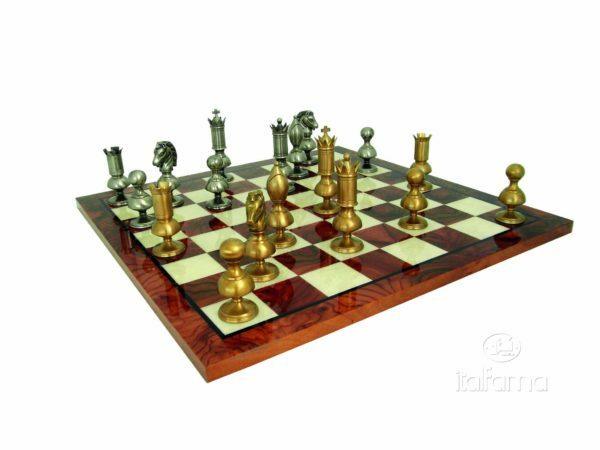 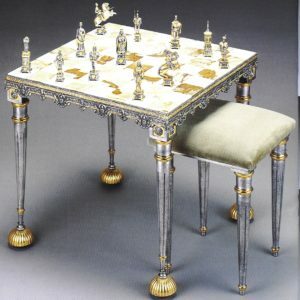 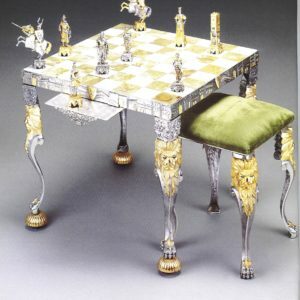 This is the Brass chess set, solid brass chess men and a briar wood beautiful chess board glossy finish, Inlaid by hand. 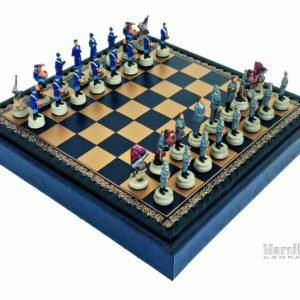 Also all chess men piece are finished by hand. 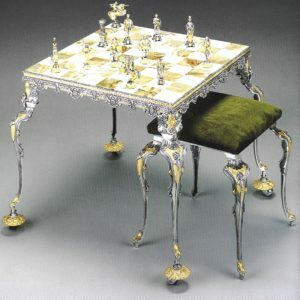 A real luxury set for real players.